Apple’s annual Worldwide Developers Conference is definitely headlined by the company’s own announcements. This year, we see new iterations of their operating systems, and an all-new iMac and speaker called HomePod. 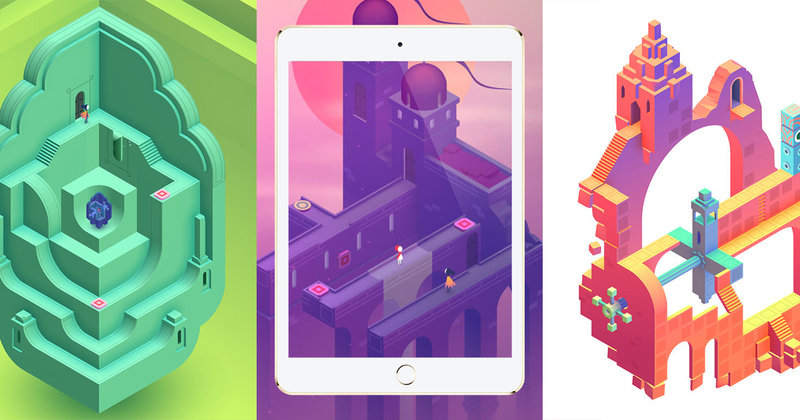 But away from the limelight is where the independent developers are working their magic from behind the scenes, and one of them is Ustwo Games – the developers behind Monument Valley, 2014’s iPad game of the year and Apple Design Awards winner. 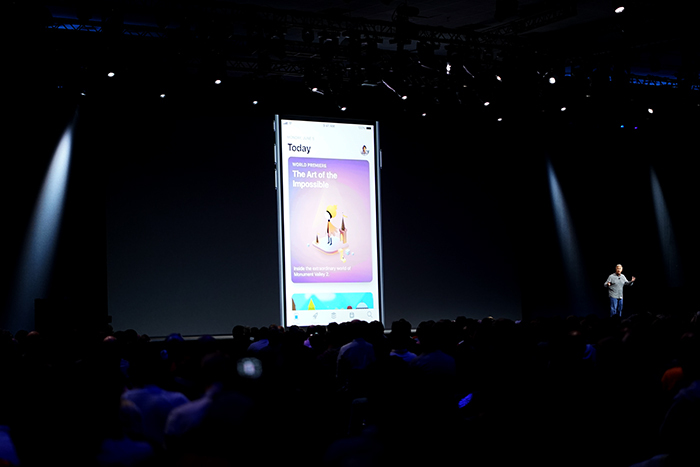 When Phil Schiller introduced the all-new look of the App Store, the game was the first thing everyone saw in the presentation. 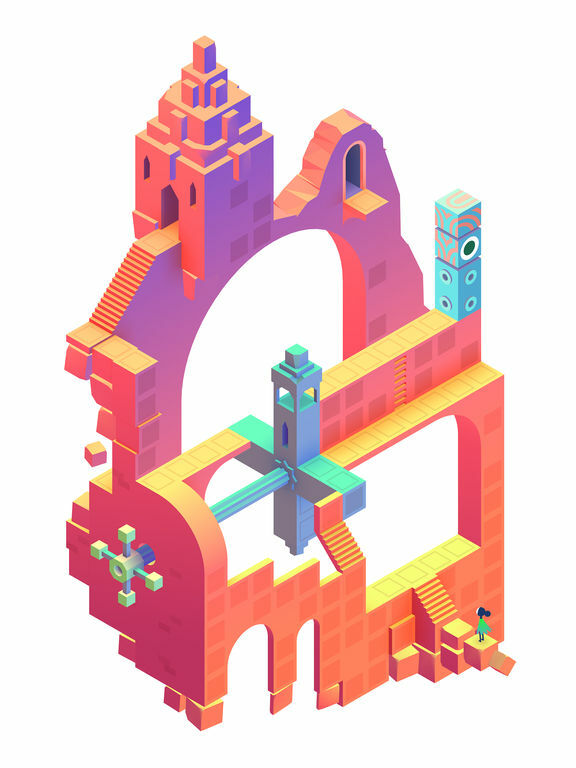 Regardless, the day WWDC kicked off was the day that Monument Valley 2 quietly appeared exclusively on the App Store. If you are familiar with the original game, you’ll be glad to know that the sequel is just as engaging, if not more. 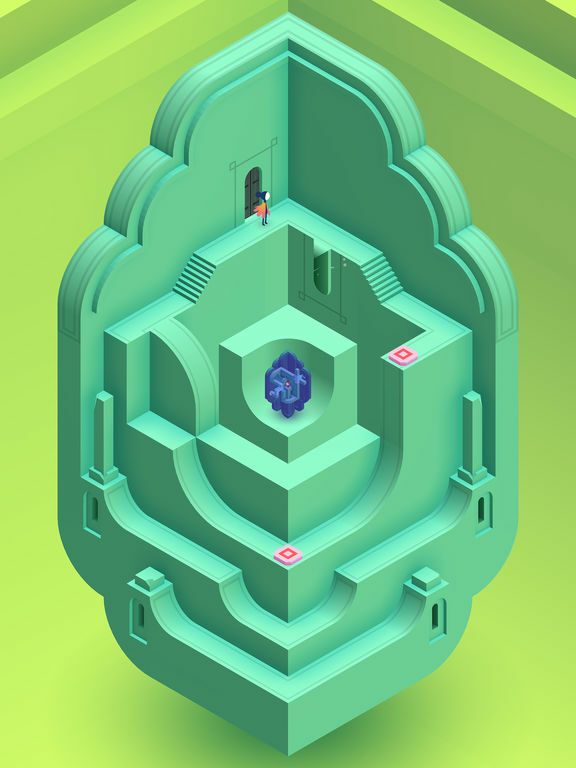 Centered around stages built around “impossible architecture”, the game takes players on a journey of the daughter in search of independence and personal strength as she traverses the various paths to get to the next level with her mother. Like the first game, levels morph through your interaction with the stages, and that’s where the “impossible architecture” comes in. You move your character with taps on the paths, and activate new ones by standing on marked platforms. Also, through a play in perspectives, you can create new paths by simply rotating the layered stages which you swipe down to reveal and interact with. In true Netflix binge watching fashion, if you were to complete the game in a single sitting, it will take you approximately 2 hours. The good thing about this game is that you don’t die and there’s no reset switch. We were fortunate enough to have caught up with the developers of the game, and UsTwo’s Head of Studio Dan Gray was one of them. He explained that is very much a personal experience. While the story of a mother and daughter is relatable to anyone, how you feel when playing the game as you embark on their journey is a uniquely personal experience on its own. That’s because the whole game in itself is a narrative that speaks on a personal level. The game itself is simple and self explanatory, and you will not find any text telling you to do anything. Instead, through colourful game levels and character animation and interaction, you will be directly in touch with the characters as you help them discover themselves. Therefore, it is no surprise that they only make the game available on the iPhone and iPad, and not on the Mac and Apple TV. Dan mentions that this was a conscious decision by the team due to the personal nature of the game, as the iPhone is something you have in your hands all the time, and the iPad in your bag. As we were rounding off our little chat, we asked if the real motivation behind using a mother and daughter as the main protagonists in their game was actually inspired by any personal motivation, to which Dan immediately said yes. The common thread binding them are that despite everyone being developers, most has never developed a video game before. This is because the team has substantially grown since the first game – from 8 to about 20 now, and with it comes a more diverse team of creative developers. Still, having no video game development experience works in their favour as they are able to bring in fresh perspectives centered around a common theme – that the game they were working on revolves around the adventures of a mother and daughter. This maternal theme is something all of them could resonate with as the team members have either become parents themselves, or they have grown to understand their parents more as they’ve become adults. It also helps that the parent-child theme is something that video games don’t generally touch on, given that we’re usually more used to high octane action shooting games or simple puzzle games. 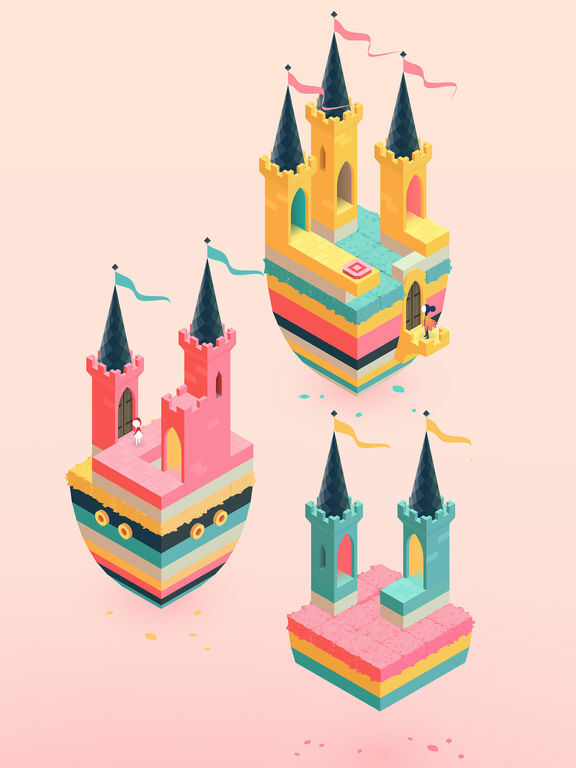 Monument Valley 2 is definitely something different to your usual Candy Crush or Injustice, and even if you’re not one who plays mobile games, this game might just convince you to. 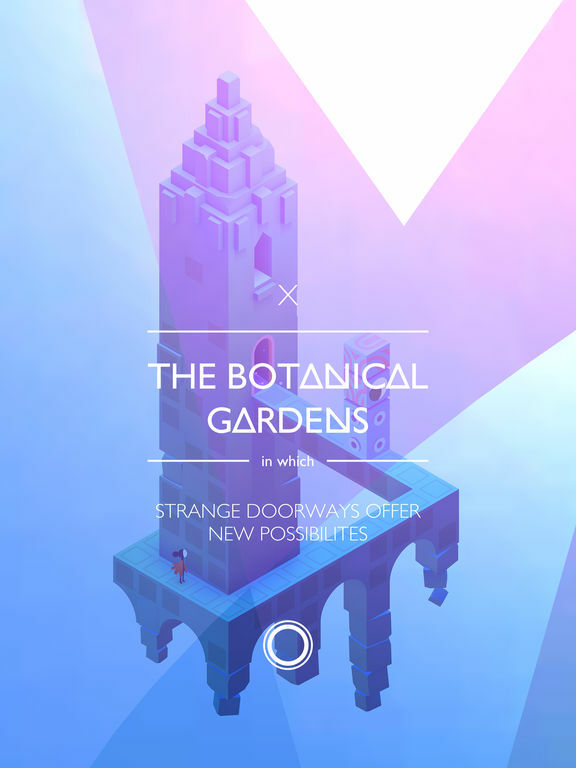 If you would like to give it a go, the game is already available on the App Store.